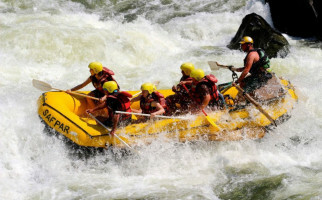 Why Zambezi White Water Rafting In Africa? “Zambezi, Zambezi, Zambezi, Zam, I’m on my way” sang 80’s British ska band The Piranhas and you could be on your way to Zambia’s famous river too… we promise there won’t be a piranha fish in sight! These awesome 3.5 or 7 day adventures include white-knuckle rides through world-class rapids such as Stairway to Heaven, The Devil’s Toilet Bowl, Gulliver’s Travels and Creamy White Buttocks - I don’t know if the latter is the name of a rapid or an instruction to not forget your swimming trunks/bikini as you swim and take the greatest shower of your life beneath the Victoria Falls! If the idea of staying in tents isn’t your bag, might the idea of a sumptuous barbeque and well-deserved cold beer or glass of wine change your mind? Or perhaps the idea of the gentle sound of the river lulling you to sleep… on the beach… by the fire… under the stars of the wild, African night? Sounds like heaven, right? We aim to please! 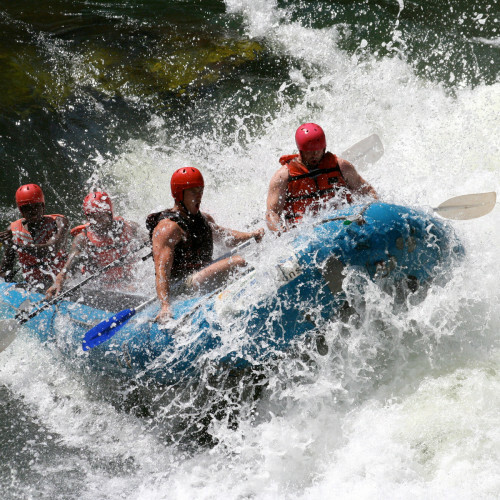 Why Is White Water Rafting So Enthralling? 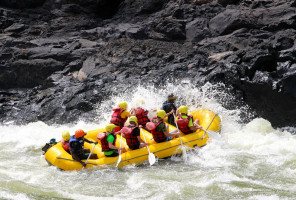 After waking up with Morning Glory (that’s another name of a rapid) it’s time to tackle two more of the world’s toughest rapids - Open Season, Chamamba and the final rapid of the day, the infamously fun Upper Moemba. Do you want to fly over The Victoria Falls in a microlight? We say “Done!” Want to fulfil a lifelong wish to see elephants? We say “Easy!” Want to make a combo holiday?